Michelle is a rich and successful real estate tycoon and so relieved to finally get out of the office. It was a crazy week. 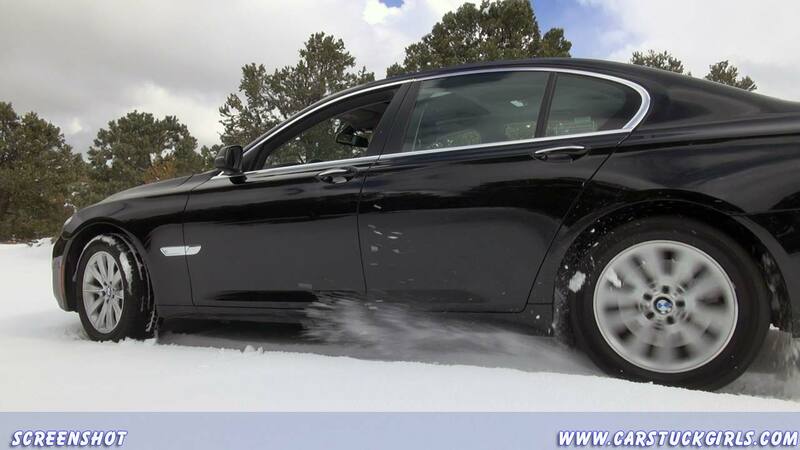 Now the business woman can enjoy the drive to the mountains with her nice BMW 740. It was a beautiful sunny day in the city, but when she is driving closer to the mountains, the clouds get thicker. A storm is coming up. And what a surprise when she arrives at the newly bought property, there is fresh snow! It must have snowed the last night. But that is even better to help her imagine how the new cabins here will look like. What a top notch vacation spot! They will be log homes with cozy fireplaces and the beautiful scenery around. How romantic!